Slicers are basically filters, which are available visually. 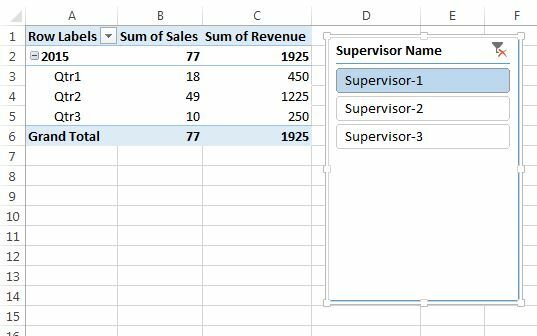 At a time multiple slicer can be added for a pivot table. Slicer also can be resized or moved to the different worksheet. Slicers work for Text and Date field both. 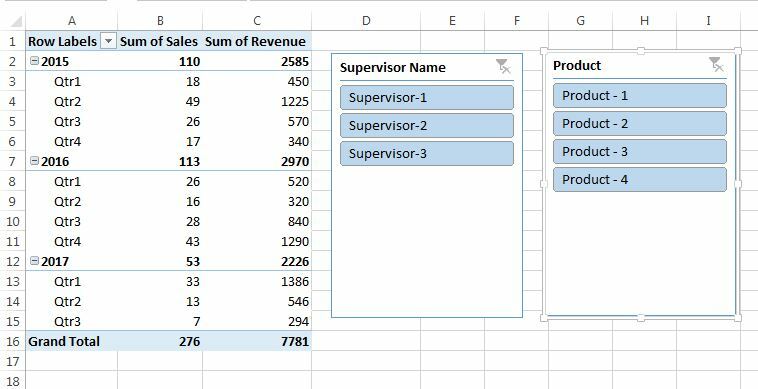 Note: Slicer feature is available only in Microsoft Excel 2010 or above version. Go to Analyze Tab>>Click on Insert Slicer in Filter Tab. Select the Filed for which you want to insert a slicer. Note : Multiple items can be select by pressing Ctrl Key. A slicer can be connected with multiple tables. Data source for all pivot must be same. 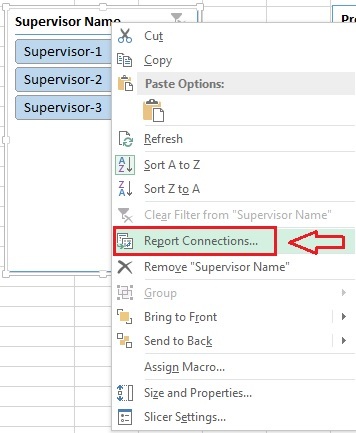 Report Connections window will be opened. 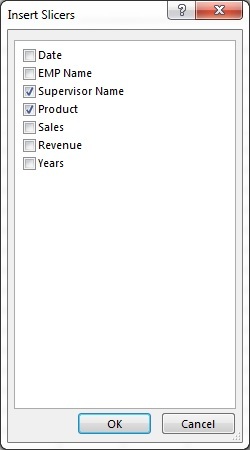 Select the check box of the pivot table which you want to connect with that slicer. 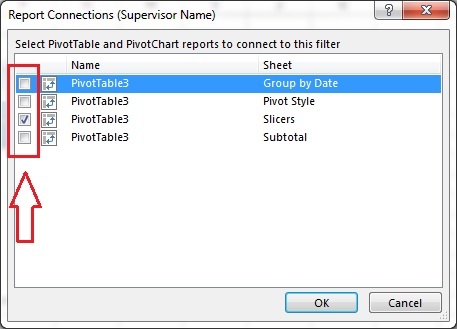 Slicer will be connected with all the pivot table which is selected in report connection window. By default there is one column available in a slicer, however it can be changed. For example we have 4 Product in Product slicer, we want to show 2 Product in a row. 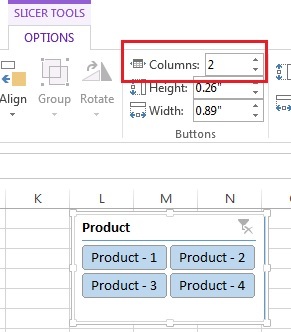 To show 2 product in a row, click on the slicers go to Option Tab>>Select 2 Columns option. Now Product-1 & 2 are available in first row and Product 3 & 4 are are available in second row.